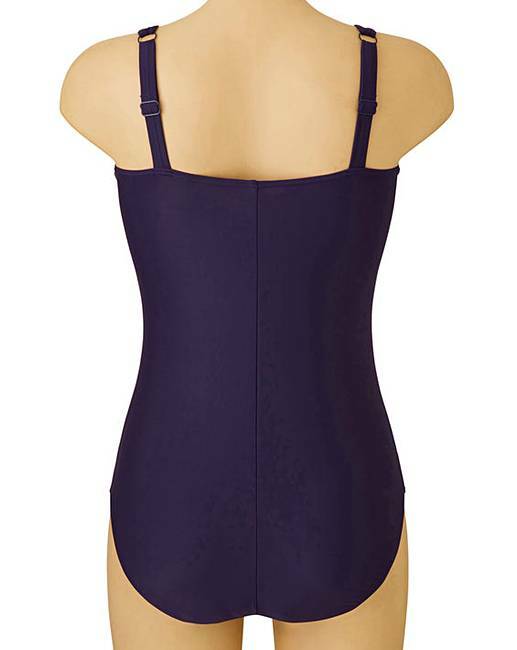 Magisculpt TummyTuck Blackberry Swimsuit is rated 4.6 out of 5 by 25. Designed with clever ruching and side panels to create a flattering silhouette. Powermesh lining with firm control technology that works wonders on the tummy for an extra boost of confidence. Classic leg line and adjustable fixed straps. Fixed foam cups within bust shelf. Longer length for a more relaxed fit. Rated 5 out of 5 by Mands from Impressed Bought this as I'm a size 20 and like to hide the belly as best I can. Very impressed with the sizing, fits perfectly and gives a guide camouflage to my tummy. Rated 5 out of 5 by Miss Linnie from Very pleased I ordered a size larger than my normal one because I didn't want it to be too restrictive for aquarobics and it is very comfortable. Nice long body and lovely colour. I would buy another if there was a choice of another colour. Rated 5 out of 5 by Pat60 from Exactly as described! I use this for aqua classes. Full coverage, fits well and looks good. Rated 5 out of 5 by Ails from Great swimsuit Have had a few of these swimsuits now - very flattering & great for Aqua Aerobics, swimming & general pool/wet activities. The longer length is very comfortable & tummy control keep everything in place. 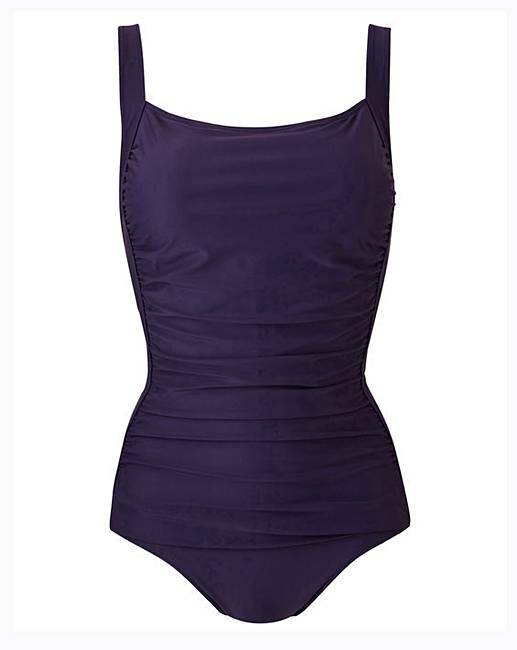 Rated 5 out of 5 by Lizzi from Great style I love this swimsuit even though I am only 5ft 1 in and don’t really need longline, it fits lovely and holds my tummy in. Great colour and style too. Rated 5 out of 5 by Jan10 from Great fitting swimsuit This is my second purchase of this swimsuit love the fit and colour is different love it for Aqua very comfortable and nice and long very pleased.